Supporting external input when connect normal USB keyboard to Ipad Compatible with USB Camera that support Picture Transfer Protocol (PTP) or mass storage class devices. This item gives you two ways to import photos and videos from a digital camera: using your camera's USB cable or directly from an SD(HC), MS DUO, MMC, M2, T-FLASH (TF) card. 1.Using SD Card slot to import photos/videos directly from your camera's SD card a). Push the switch to the side of SD card slot. b). 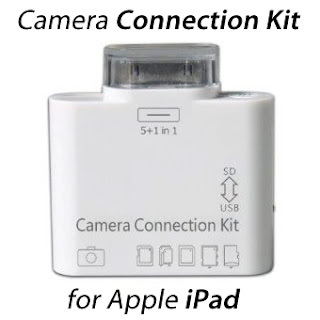 Connect it to your iPad, then insert your digital camera's SD(HC), MS DUO, MMC, M2, T-FLASH (TF) card into the slot. 2.Using USB interface to import photos/videos directly from your digital camera or iPhone a). Push the switch to the side of USB interface. b). Connect it to your iPad, then attach your digital camera or iPhone using a USB cable (not included) . It doesnt support 3G iphone, but it supports external keyboards. Your iPad automatically opens the photos after you making a connection after you make the connection, which lets you choose the pictures you wanted to import. Just plug it into the dock connector port on your iPad, and then attach your USB keyboard, digital camera or iPhone using a USB cable (not included). After you make the connection, your iPad automatically opens the Photo app, which lets you choose which pictures to import, then organizes the selected photos into albums. 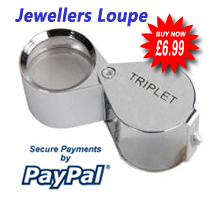 This is a super little gadget! It does exactly as described, works perfectly with iPad 2 and iPhone 4S, so very interchangeable. It has every conceivable connection option for photo's and is very simple to utilise. Quality is good and set up takes seconds. . . . .